Is Your Portfolio Designed to Match Your Risk? How much risk are you willing to take for a certain level of return? Find out for free. Our first decade has been memorable and successful. Our clients are the reason. LeConte offers sound advice combined with a simple system of accountability. Your Strategy Could be Awesome! But without courageous execution, it wont work. That's where we come in. We develop your plan and then help you do it! Are the choices that you have made in the past still relevant for where you want to be? Step Away from the Herd. Take control of your financial future and security. Make your future what you want it to be! 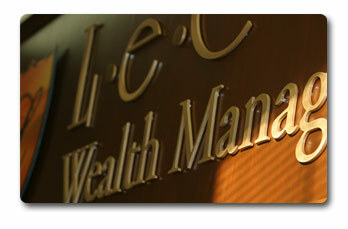 Welcome to LeConte Wealth Management. We are an independent financial firm that has been helping the good people of East Tennessee establish and maintain their long-term financial goals since 2007. If you’re not currently acquainted with our firm, we’ve established this Web site as a way for you to get to know us and understand how we can help you get to that point where you don’t have to worry about whether your money is doing right by you. Join us on our blog, Financial Friction for our take on investment and economic topics written from our independent, plain spoken perspective. During the past twenty years, things have changed in the world of financial services. Investors have shifted away from relying on stock brokers to make their investment decisions. Though equity and insurance brokers certainly provided access to a variety of great products, they were salesmen looking for commissions on trades and offering advice only secondarily. The client who needed advice regarding taxation, for instance, had to consult a CPA. And, when somebody needed help planning for retirement, many stockbrokers struggled to assist. As investment products have become increasingly complex and investor needs have expanded, clients have turned from brokers to financial professionals. Individuals who used to pay for products and get guidance for free now pay for guidance while still getting best-of-class products. Because we believe that the trend toward guidance conforms to our client-first philosophy, we offer ourselves to you as wealth consultants. Wealth management is about replacing products with process. Instead of picking the hottest stocks, we rely on a strict investment methodology to ensure that our clients’ portfolios are aligned with their best interests. Instead of trying to sell a particular product, we assess your personal goals and needs before considering what sort of investment might be appropriate. Instead of turning you away when you ask us to develop a plan, we embrace you. Wealth management is a process driven strategy that provides total professional services. Independence lies at the core of wealth management. With no obligation to sell a particular product, we suggest the best suited product. Knowing that there is no one-size-fits-all solution to personal finance, we strive to find the proper solutions for you. Our services range from coordinating an estate plan to managing investment risk, from income distribution planning, to business succession planning. We have partnered with accountants and attorneys to provide solutions to all of your financial needs, and we promote our clients, not a product. As a process driven, independent wealth manager, we seek to provide invaluable financial guidance to high net worth individuals with complex planning needs. Our goal is to help you achieve your goals. Our strategy is wealth management.